Straight button single breasted closure. 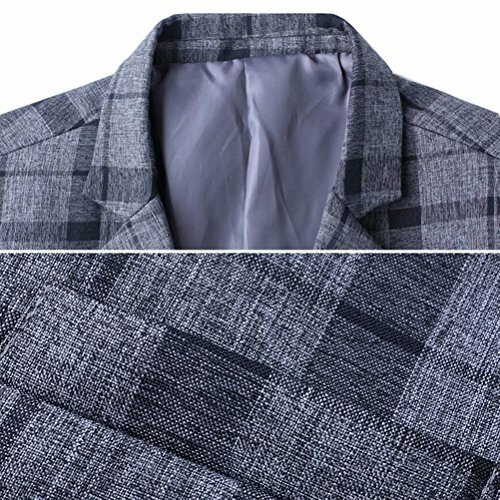 Cotton blend material sports jacket, soft, comfortable. 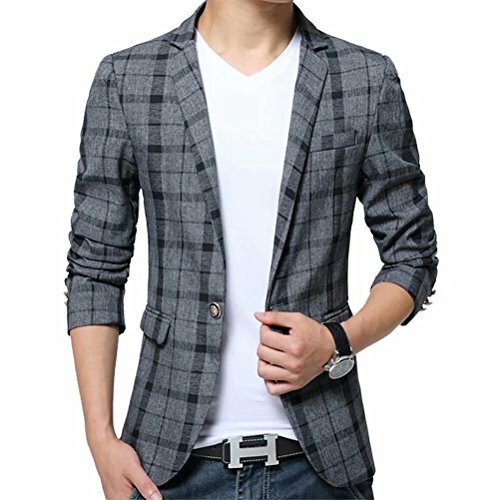 Fashion Design: Blazer with breasted one button opening, padded shoulder, slim, casual blazer jacket. Long sleeves with dyed-to-match buttons on cuffs, fully lined with inside pockets, warm linning, suitable for autumn. 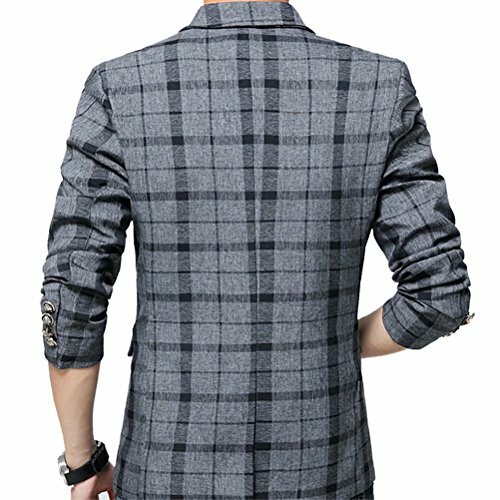 Men's blazer jacket long sleeve single-breast sport coat stylish blazer lightweight smart formal suits jacket flap pockets notch lapel fall winter spring. 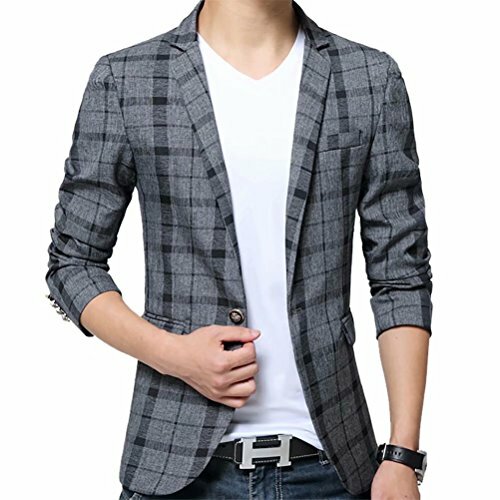 Men's blazer casual slim fit suit young with on button. A classic jacket perfects for casual or formal occasion in spring, autumn & winter. Various styles, slim fit, long sleeve, great for casual, formal, business wear and other special events. Pocket is false in chest, used for decoration. 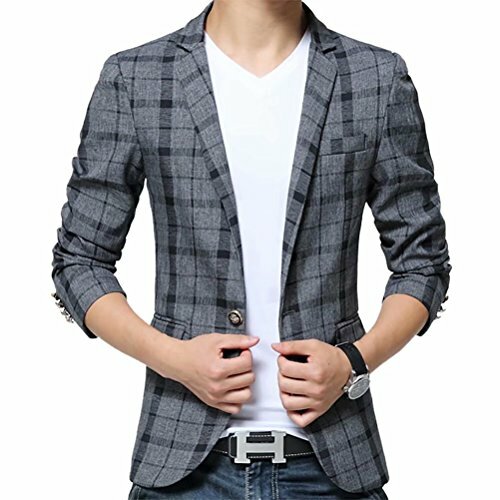 Solid blazer with single-breasted one-button closure featuring flap pockets at sides, padded shoulders, vented back, fully lined. 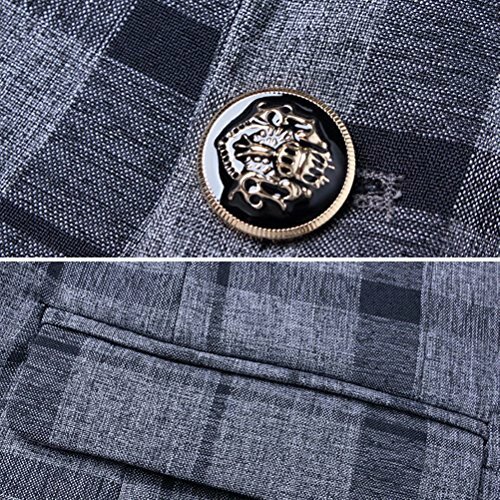 One button, turn-down collar, twin flap over pockets. Smart formal dinner coats. If you have any questions about this product by SUSIELADY, contact us by completing and submitting the form below. If you are looking for a specif part number, please include it with your message.